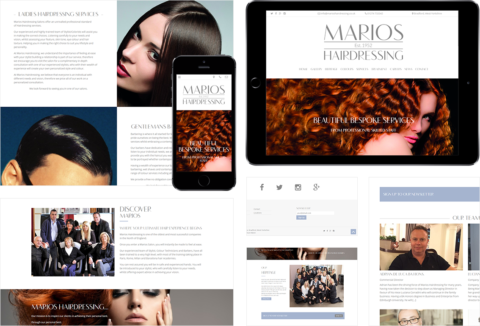 Marios are a very-well known and established Bradford Hairdressers, going back over 50 years! The current management team approached Harrison Mann looking for help and guidance on their current digital marketing efforts and wishing to put into place on-going help in order for them to maximse online marketing opportunities. When Marios first approached us, the website they had previously was not giving them the return that they not only needed, but required, in order to take advantage of the ever-increasing online searches, discussions, and possibilities that online marketing gives local companies today. We needed to build upon their already established name, but this time, in the online landscape. 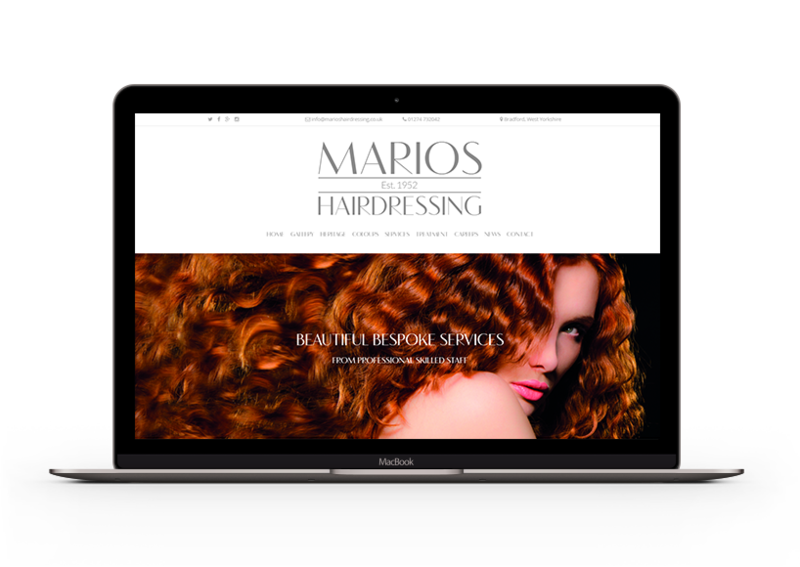 We looked back at the Marios brand and the family nature of the company throughout the years, and built a website which encompassed these trust factors which already encapsulated the modern day outlook, with new and exciting hair care solutions for both men and women. We also had to help improve their online reputation, gaining them more five-star reviews on both Facebook and Google My Business in order to help potential customers trust that the service that was being offered would meet their standards.